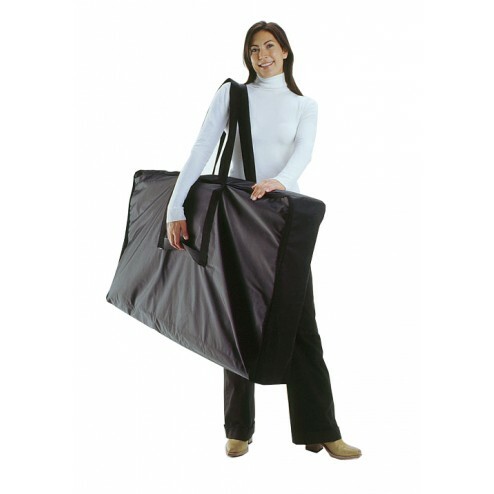 This video shows how easy and portable this champion promoter counter is for all your event and in store promotional needs. 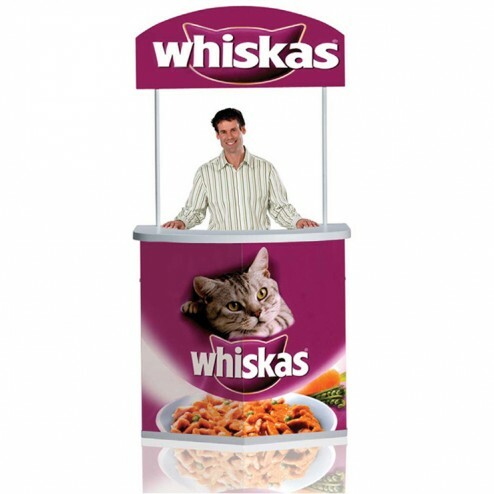 With a unique C shaped counter and extra wide design, this Promoter POS exhibition counter has all the space you will need for product demonstrations, tastings, or as an information booth at trade shows, exhibitions or promotional events. And with our optional bespoke graphics package, you can be sure that your counter will attract plenty of attention from passers-by. 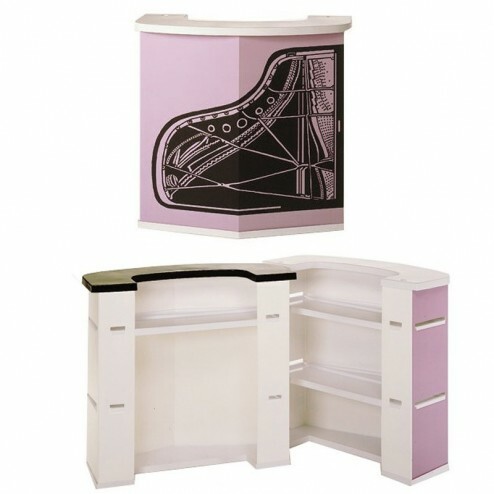 Perfect for tastings and demos, the counter features an easy to clean curved worktop, with 2 hidden shelves underneath – perfect for food preparation and storage of leaflets and marketing materials. The unique hinged counter supports sturdy poles, holding 3mm thick header panels at an impressive 2448mm high, keeping them easily visible above the heads of the crowds. 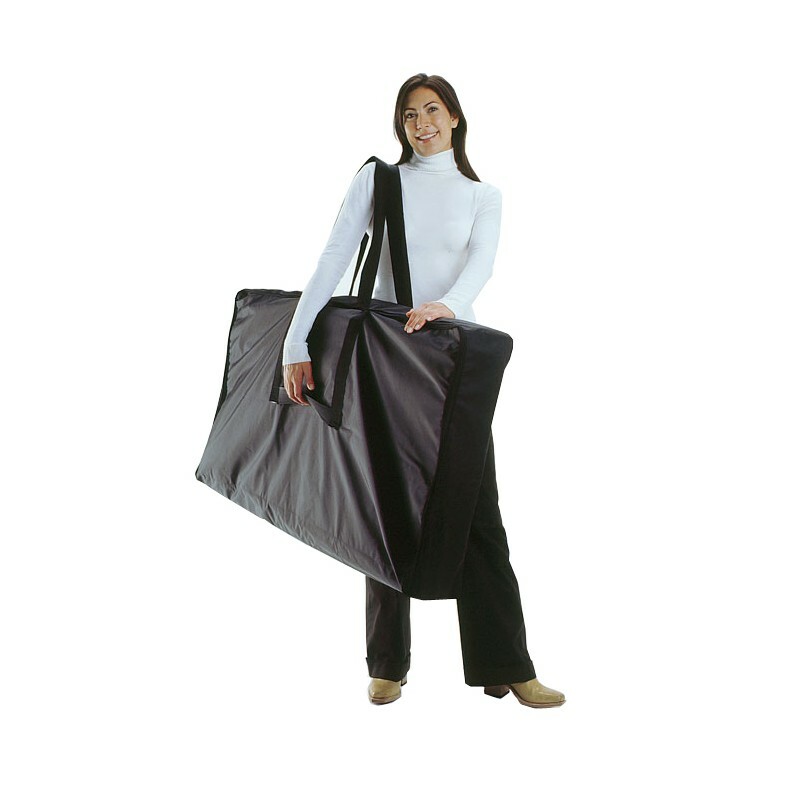 The exhibition counter is lightweight and portable, folding flat for easy transportation and storage between events in its own nylon carry bag, which is included with the counter. 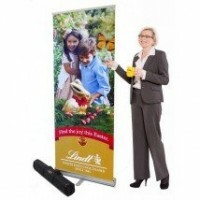 Perfect for use at short term promotional events, the counter is quick and easy to assemble in minutes without tools or expertise, and it can be supplied with optional custom printed graphics, which are produced in house using state of the art technology, eco-friendly inks and premium materials. Keeping your branding clear, vibrant and highly visible, graphics can be added to the header panels and counter front, as well as the sides for a more complete coverage. 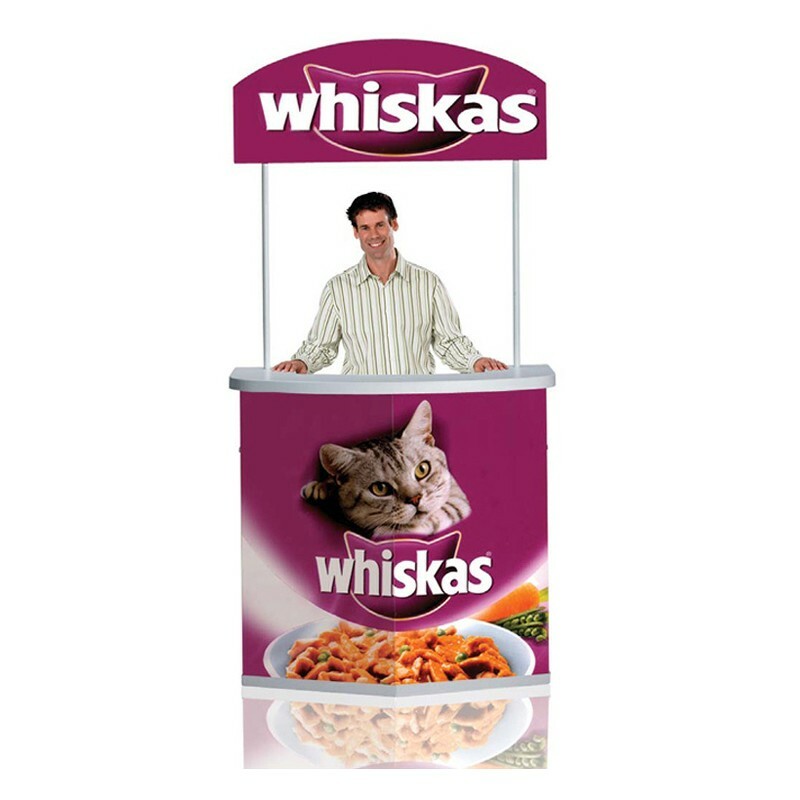 A great way to display your products, promote your services and get your branding more widely recognised, the exhibition counter can also be used as an information point, product display unit, or meet and greet counter at expos and open days.